The 2017 Toyota Corolla Trim Lineup Arrives in Miami! When it comes to compact sedans on the market today, the new Toyota Corolla continues to bring so much to the table! Back this year with the standard Toyota Safety Sense™ P package and a facelift to the front end, the Corolla continues to bolster its reputation as an affordable, reliable, and well-rounded sedan. Learn more about the abundance of well-equipped Toyota Corolla trim levels now available at your Miami Toyota dealership. 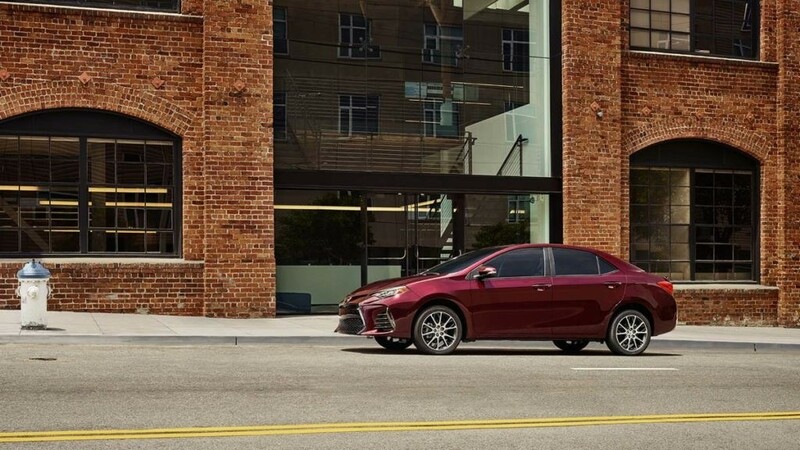 Even the most basic trim in the Corolla lineup comes with Bluetooth® connectivity and the Toyota Safety Sense™ P driver assistance package, as well as full power features and LED daytime running lights. Step up to the second Corolla trim to add a 6.1-inch Entune™ touchscreen interface with a backup camera, as well as keyless entry and automatic climate control. Yet another popular option, the SE trim adds sporty elements like a chrome exhaust system and rear spoiler, as well as a sporty front grille design and 17-inch machined wheels. The XLE trim adds Entune™ Audio Plus with Connected Navigation App and headed front seats. You’ll even get a power moonroof to enjoy on those warmer evenings! Those aren’t the only trims available in the new Corolla lineup! Opt for the LE Eco trim to get special engine tuning that increases output to 140 hp while also improving EPA fuel economy to 40 mpg highway. The 50th Anniversary trim includes special badging and styling elements to celebrate a half-century’s worth of Corolla vehicles, while the Corolla XSE brings to the mix added high-end features like SofTex® leatherette upholstery, an integrated App Suite, and heated front seats.Interested in getting more from your driving experience without having to break the bank? You should know that the newest take on Toyota’s popular compact sedan delivers so many desirable offerings that the Corolla has little trouble beating out popular competitors like the new Nissan Sentra and Honda Civic. Luckily, the new Toyota Corolla is now available, in nine different colors, for Miami area drivers at Toyota of North Miami, located at 16600 NW 2nd Ave in Miami, FL, not far from Hollywood and Fort Lauderdale. Contact us today at (305) 974-1103 to set up a test drive!